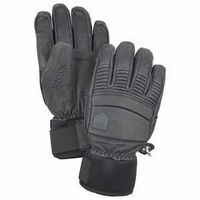 The Hestra Fall Line glove is the last one you will ever need! The leather exterior is both durable and stylish- a feat not accomplished by many. 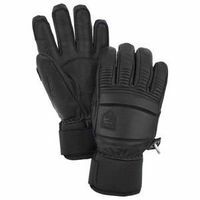 These gloves seem to be perfect no matter what kinds of conditions you encounter and they always keep my hands super dry. I have worn them in single digit temps without a liner and been nice and toasty. I suppose they would be a bit too hot for those 60 degree spring days but at that point you are probably mostly hanging out at the ABasin Beach. The interior liner is soft and super comfy. The cuff has a Velcro closure and fits perfectly under the cuff of my ski shell. I actually own about 4 pairs of ski gloves and these are the ones I wear 95% of the time! 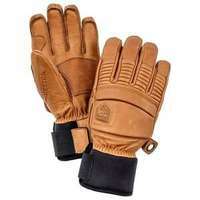 Tried and true, the Hestra Fall Line Glove has been an industry standard that has stood the test of time. 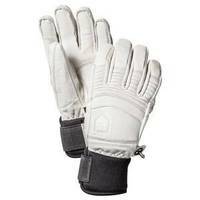 Even with the ever evolving glove market out there, often times there is something to be said for a full leather glove with a nice comfortable neoprene cuff. Warm on the cold days, but still doesn't over heat once those slushy spring laps come around. If you want a glove that will last you years and years no matter how hard you shred, the Hestra Fall Line Glove is your next ski glove.